This site is being provided by the Virginia Native Plant Marketing Partnership as a hub for information about Virginia's native plants and the marketing and education resources the partners have to offer. Click the logos below to learn more about Virginia's regional native plant campaigns. Plant RVA Natives Campaign Launch Planned in April! New regional guide available for Virginia’s Capital Region! Learn More about the plant rva natives campaign! 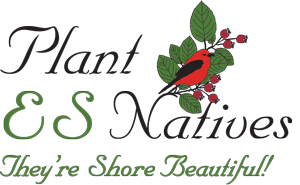 The Plant NOVA Natives Campaign Recognized with Award! The Fairfax County Tree Commission honored Plant NOVA Natives with a Friends of Trees award in October. Piedmont Native Plant Guide Now Downloadable! Virginia CZM Program and members of the Plant NOVA Natives steering team presented a webinar for Master Naturalists about how they can volunteer with regional native plant marketing campaigns. View the recorded webinar at the link provided. Where Can I Get more guidance on landscaping with virginia natives?